Current property installations don’t always need to be replaced to improve; we offer steel reinforcements to doors and door frames to really get the best from them. Many businesses and homeowners put off security enhancement works because of costs, visualising widespread replacements of doors and windows, but a huge amount can be achieved just reinforcing them properly. 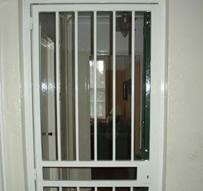 We fabricate and install a diverse range of steel reinforcements for doors, windows and frames securing your exterior or sensitive interior sections which house expensive equipment or stock. We believe in a comprehensive look at security which evaluates your risks alongside factors like budget and practicality, our expert estimators can consult you fully on your options and take on board your feedback to help find on ideal balance. Services such as security reinforcements are a perfect example of security enhancement without the costs of completely new equipment. We are full members of the Master Locksmiths Association meeting all their quality and service requirements in addition to maintaining exceptional health and safety and other regulatory compliance’s. Commercial or domestic our clients are guaranteed the highest standards of workmanship and service.